LOS ANGELES – March 9, 2018 – It’s not every day that several attorneys at a mid-size law firm like TroyGould get recognized by multiple peer-review rating services, including Southern California Super Lawyers and Best Lawyers in America. In addition to having many of their attorneys continuously recognized as some of the best in their respective fields, the firm itself has gained a premier reputation. 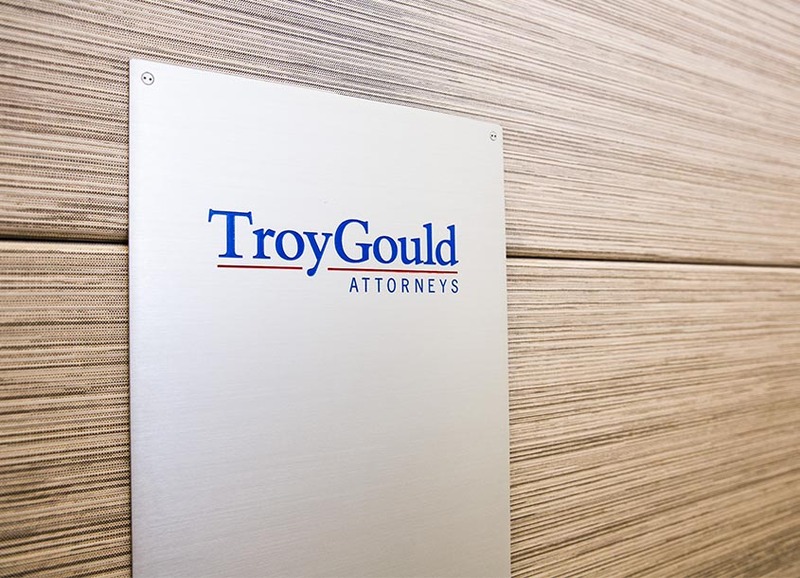 In 2017, U.S. News & World Report designated TroyGould as a Tier 1 “Best Law Firm” in mergers and acquisitions, securities regulation, and securities/capital markets in the Los Angeles area. Nationally, the firm earned a Tier 2 ranking in corporate law, mergers and acquisitions and securities regulation. Aaron B. Bloom (Litigation, Litigation Department Chair) has experience in entertainment, real estate, intellectual property and general business litigation matters. Martindale-Hubbell® AV Preeminent Rated Lawyer, Southern California Super Lawyer Rising Star (2009-2016). Marc L. Brown (Corporate & Securities) has represented numerous companies in various corporate, securities, and regulatory law matters, including mergers and acquisitions. Best Lawyers in America (2018). David L. Ficksman (Corporate & Securities, Life Sciences) provides corporate, securities, and business counseling to corporate clients and their officers and directors. Martindale-Hubbell® AV Preeminent Rated Lawyer, Best Lawyers in America (2018). Darren T. Freedman (Corporate & Securities, Real Estate) regularly represents clients in areas such as technology, food and beverage, and real estate. Southern California Super Lawyer Rising Star (2015-2018), San Fernando Valley Business Journal Trusted Advisors Award Finalist (2017). William D. Gould (Corporate & Securities) is active in all legal aspects of raising capital, both public and private, including venture capital and mezzanine financing. Martindale-Hubbell® AV Preeminent Rated Lawyer, Southern California Super Lawyer (2004-2014), Best Lawyers in America, Los Angeles Mergers and Acquisitions Law Lawyer of the Year (2012). Jonathan L. Handel (Entertainment & IP) an entertainment and technology attorney, is also a Contributing Editor for the Hollywood Reporter. Martindale-Hubbell® AV Preeminent Rated Lawyer, Southern California Super Lawyer (2006-2007, 2013-2015). Sanford J. Hillsberg (Corporate & Securities, Life Sciences) helps public and private companies raise capital, form strategic alliances and file SEC reports. Martindale-Hubbell® AV Preeminent Rated Lawyer, Southern California Super Lawyer (2004-2006, 2008-2015, 2018), Best Lawyers in America (2016, 2018). Pooja S. Nair (Litigation) has represented clients in the healthcare, life sciences, and banking industries, assisting with commercial disputes and internal investigations, among others. Southern California Super Lawyer Rising Star (2017). Peter S. Selvin (Litigation) has extensive experience representing insurers and national corporations in high-stakes civil disputes in a variety of commercial and business settings. Martindale-Hubbell® AV Preeminent Rated Lawyer, Southern California Super Lawyer (2007-2018), Best Lawyers in America (2007-2018). Dale E. Short (Corporate & Securities, Life Sciences) regularly represents a client mix of public companies and successful, private businesses in corporate and securities transactions. Martindale-Hubbell® AV Preeminent Rated Lawyer, Southern California Super Lawyer (2004-2016), Best Lawyers in America (2008-2014, 2018), Los Angeles Securities Regulation Lawyer of the Year (2014). TroyGould is a results-oriented law firm. We use creative and cost-effective strategies that enable our clients to achieve their business goals. We are trusted advisors to entrepreneurs, start-ups, middle-market and Fortune 500 companies. Our clients command a variety of industries, including technology, entertainment/media, life sciences, financial services, food and beverage, real estate, consumer products, and healthcare. For more information, visit TroyGould.com.